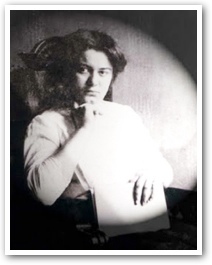 Recently, the Pope declared Edith Stein a saint. Would you please let me know more about the process for being declared a saint? The official process for declaring someone a saint is called canonization. Prior to the year 1234, the Church did not have a formal process as such. Usually martyrs and those recognized as holy were declared saints by the Church at the time of their deaths. Before the legalization of Christianity in the year 313 by Emperor Constantine, the tombs of martyrs, like St. Peter, were marked and kept as places for homage. The anniversaries of their deaths were remembered and placed on the local Church calendar. After legalization, oftentimes basilicas or shrines were built over these tombs. As time went on, the Church saw the need to tighten the canonization process. Unfortunately, sometimes figures of legends were honored as saints. Or once, the local church in Sweden canonized an imbibing monk who was killed in a drunken brawl â hardly evidence of martyrdom. Therefore, in the year 1234, Pope Gregory IX established procedures to investigate the life of a candidate saint and any attributed miracles. In 1588, Pope Sixtus V entrusted the Congregation of Rites (later named the Congregation for the Causes of the Saints) to oversee the entire process. Beginning with Pope Urban VIII in 1634, various Popes have revised and improved the norms and procedures for canonization. Today the process proceeds as follows: When a person dies who has "fame of sanctity" or "fame of martyrdom," the Bishop of the Diocese usually initiates the investigation. One element is whether any special favor or miracle has been granted through this candidate saint's intercession. The Church will also investigate the candidate's writings to see if they possess "purity of doctrine," essentially, nothing heretical or against the faith. All of this information is gathered, and then a transumptum, a faithful copy, duly authenticated and sealed, is submitted to the Congregation for the Causes of the Saints. Once the cause is accepted by the Congregation, further investigation is conducted. If the candidate was a martyr, the Congregation determines whether he died for the faith and truly offered his life in a sacrifice of love for Christ and the Church. In other cases, the congregation examines to see if the candidate was motivated by a profound charity towards his neighbor, and practiced the virtues in an exemplary manner and with heroism. Throughout this investigation the "general promoter of the faith," or devil's advocate, raises objections and doubts which must be resolved. Once a candidate is declared to have lived life with heroic virtue, he may be declared Venerable. The next step is beatification. A martyr may be beatified and declared "Blessed" by virtue of martyrdom itself. Otherwise, the candidate must be credited with a miracle. In verifying the miracle, the Church looks at whether God truly performed a miracle and whether the miracle was in response to the intercession of the candidate saint. Once beatified, the candidate saint may be venerated but with restriction to a city, diocese, region, or religious family. Accordingly, the Pope would authorize a special prayer, Mass, or proper Divine Office honoring the Blessed. After beatification, another miracle is needed for canonization and the formal declaration of sainthood. Most recently, we have witnessed this process in the canonization on October 11 of Edith Stein, a Carmelite nun who took the name "Sr. Teresa Benedicta of the Cross." Just a few highlights of her life: She was born in Breslau, Germany, studied at both the University of Breslau and the University of Gottingen, served as a teaching assistant for the great philosopher Edmund Husserl, and received her Doctor of Philosophy from the University of Freiburg in 1917. Wrestling with her Jewish faith and being drawn toward Catholicism, she was baptized and received into the Catholic Church on Jan. 1, 1922. She taught in various capacities, until the Nazi government prohibited all Jews from teaching in 1933. She entered the Carmelite monastery in Cologne, Germany in 1933, but transferred to the monastery in Echt, Holland in 1938 to protect the other sisters. Finally, on Aug. 2, 1942, she was arrested by the Gestapo for being both a Catholic sister as well as of Jewish descent, transported to Auschwitz, and gassed on August 9, 1942. Pope John Paul II beatified her on May 1, 1987, declaring her a martyr of the faith. Interestingly, when the sisters cleaned her cell at the monastery, they found a small picture with her handwriting on the back, which read, "I wish to offer my life as a sacrifice for the salvation of the Jews." Truly, she offered her life to the Lord. The miracle due to her intercession involves a young girl, name Teresia Benedicta, who suffered in 1987 from a lethal dose of Tylenol which crippled her liver functions. The little girl's condition continued to worsen. (The daughter's father, a Melkite priest, sees two coincidences: First, he learned that his ordination date coincided with the date of Edith Stein's death. Second, after an intense study of her life and works, he and his wife named their newborn daughter Teresia Benedicta.) After invoking the intercession of St. Edith/Teresa Benedicta, the little girl miraculously recovered. In 1998, the Sacred Congregation for the Causes of the Saints, after careful examination, determined that the cure defied any natural explanation and must be attributed to divine intervention through St. Edith/Teresa Benedicta. Since she was a martyr and now the intercessor for a miraculous cure, Pope John Paul II canonized her as a saint. In all, we must not lose sight that this thorough process exists because of how important the saints are as examples for us, the faithful who strive to live in the Kingdom of God now and see its fulfillment in Heaven. Vatican II declared, "God shows to men, in a vivid way, His presence and His face in the lives of those companions of ours in the human condition who are more perfectly transformed in the image of Christ. He speaks to us in them and offers us a sign of this kingdom to which we are powerfully attracted, so great a cloud of witnesses is there given and such a witness to the truth of the Gospel. It is not merely by the title of example that we cherish the memory of those in heaven; we seek rather that by this devotion to the exercise of fraternal charity the union of the whole Church in the Spirit may be strengthened" ("Lumen Gentium," No. 50). Saunders, Rev. William. "The Process of Becoming a Saint." Arlington Catholic Herald.